Add color to your fire! Throw 1 to 3 pouches into a fire and watch the flames magically change colors. Can be used in both indoor and outdoor fires. A unique way to enjoy a brilliant display of colorful flames on wood burning fires. A single pouch provides a rainbow of colors, including dark & light blues, purple, red, green and yellow. 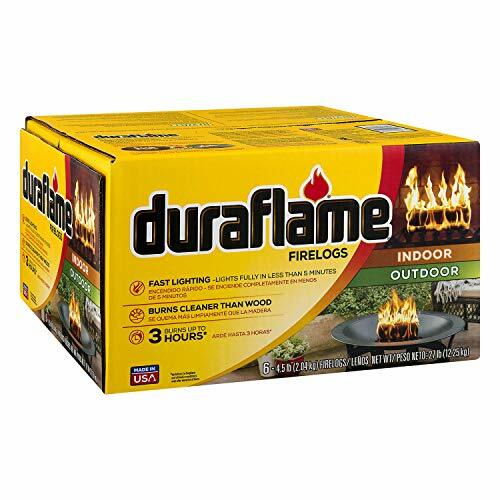 Use on Camp Fires, Backyard Fire Pits, Indoor Fireplaces, For All Wood Burning Fireplaces. 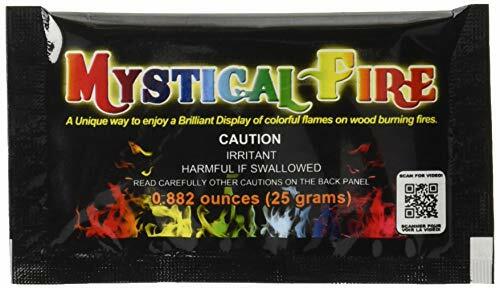 Extreme Mystical Fire is the newest addition to the mystical fire family. 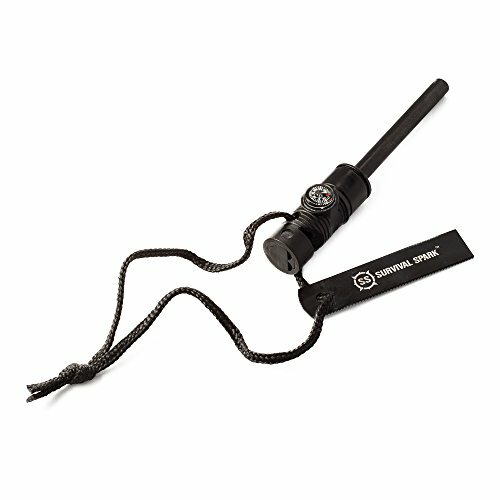 "excellent fire starting capabilities " | "this thing is so cool started a fire in less than 5 minutes " | "long term use and practicality make this exactly what I needed in my emergency bag " the survival sparkle combines three pieces of essential survival gear into one compact tool. 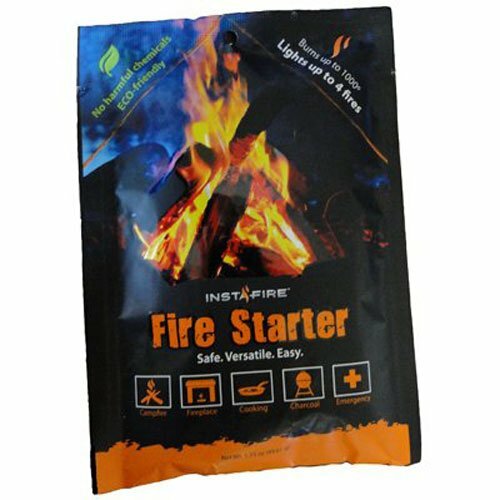 The fire starter kit includes a magnesium fire starter rod, a large striker, a high quality compass, and a 150 db. emergency whistle- all conveniently strung together on a lanyard for safe keeping. Built to last, our fire starter lights up to 15,000 times, and is an essential for outdoor activities including camping, hiking, fishing, hunting, and as part of your emergency survival supplies. Survival spark prevents you from ever being caught in the cold as it is weather resistant, cold resistant and windproof. Whether you are lighting a campfire, bonfire, bbq, or just need a quick flame, the survival spark has you covered. No need to fumble around with matches--simply shave a small amount of magnesium from the rod onto your tinder using the serrated side of the scraper. The amount needed is approximately the size of a us quarter. Next, hold the rod at an angle over the pile and forcefully slide your striker along the length of the rod until sparks land directly on the magnesium shavings and ignite the fire. For best results, strip the protective layer of paint from the striker before starting your fire. Dead end survival co. Manufactures the highest quality survival gear for men and women. Whether you are hunting, camping, fishing, biking, hiking or just like to be prepared, our gear prepares you for the unexpected. For the ultimate survival bundle, pair the survival spark with our survival watch, Para cord bracelet, grenade emergency keychain, and/or survival shack. The survival spark is the ultimate survival gear accessory. Order yours today and experience the peace of mind that comes with being prepared. 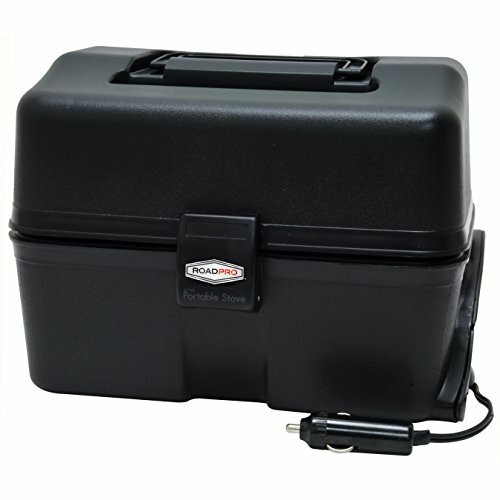 Heat things up while on the go with this 12-volt portable stove. Hungry? This handy portable stove warms food up to 300 degrees and is easy to bring along. It can be used to heat most kinds of pre-cooked food, and is ideal for stews, beans, chops, rice meals, hot dishes/goulash, and more. It doesn't consume much power but will heat a good-sized portion in approximately one hour. Plugs into most 12V lighter-type sockets. Keep Your Hands A Safe Distance From Burning Embers Your parents told you to never play with fire, but they didn't have a set of these Epica Fireplace Tongs. They make tending your fire safer than ever. It doesn't matter whether you're putting on a new log, or rearranging the flaming embers to stoke the fire, your hand will always be safely situated 26 inches away from the heat. The strong grip action makes moving logs around easy, whether they are big, small, heavy, light or even unusually shaped. You'll never have to worry about accidentally dropping a flaming ember again. We've built these fireplace tongs to last. After all, you'll be putting them in a fire, so they have to stand up to high temperatures. The hinges and joints have been fully strengthened, so not only will they stand up to constant use but they'll also keep a strong grip on your firewood. Even though they are strong, they have also been precision engineered to be as light as possible, to make them easy to maneuver when you're carrying a heavy log. 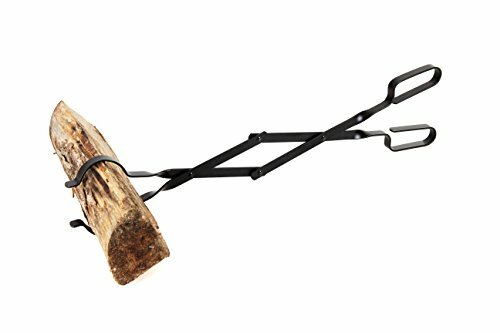 These fireplace tongs are perfect for any fire, whether you've got an outdoor fire pit, a wood burning BBQ, an indoor fireplace, a boiler or wood stove, or even a smoker. We've also used the best materials we can find. That means you can store these tongs outside with no worries. They even collapse down for storage so you can always find a convenient place for them. 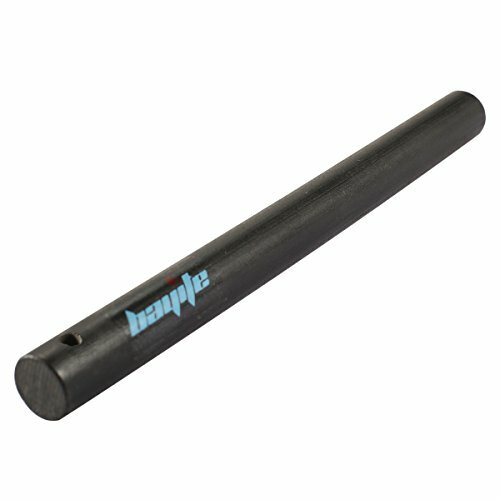 PICKS UP HEAVY PIECES OF WOOD EASILY: The smooth open and close action and strong grabbing force makes it easy to get a strong grip on pieces of wood, even if it's heavy or an unusual shape. The design of the tip also grips small logs perfectly. GRAB FLAMING PIECES OF WOOD SAFELY: Need to move wood from one side of your fire to the other? No problem. These heavy duty tongs will keep you 26 inches away and safe from the heat, so you can get the wood exactly where you need it and keep the fire stoked. FOLDS UP FOR STORAGE: Although this set of fireplace tongs is incredibly long, you don't have to store it fully extended. It quickly collapses down to a much more manageable size for storage. STRONG AND STURDY: The joints and hinges on these fireplace tongs are constructed with care. We've used the best materials, so it's made to last and won't let you down when you're moving large logs. INCREDIBLY VERSATILE: Whether you're using an indoor wood fire, an outdoor fire pit, a wood burning stove, a boiler or even a smoke house, you'll find these fireplace tongs incredibly useful. The Duraflame 3D Infrared Electric Fireplace Stove with Remote Control provides up to 1,000 square feet of supplemental heat. The quartz infrared heater helps to maintain the natural humidity, resulting in moist, comfortable heat without drying out the room's air. 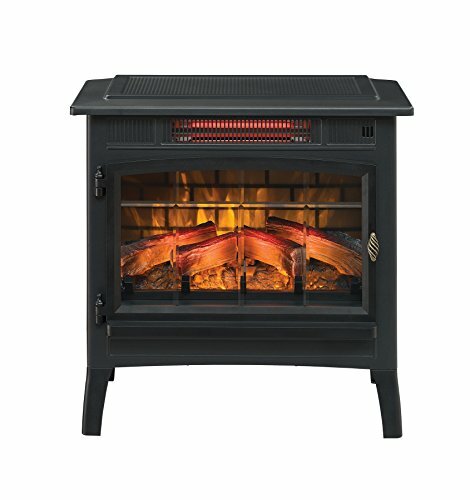 Featuring a durable metal body construction this electric stove has side viewing windows, beveled glass and an operable door. The realistic flame effect is created by patent pending 3D technology which provides a layered flame effect to create a truly realistic fire experience. It comes complete with five adjustable brightness and speed settings. Operate with or without heat, providing the ambiance of a fire all year round. Easy to assemble, this portable stove can be operated manually on the unit or with the included multi-function remote control. Infrared heater provides supplemental heat up to 1,000 Sq. Ft.